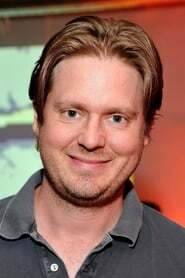 Tim Heidecker (born February 3, 1976) is a U.S. actor, comedian, musician, writer and director. He is one half of the comedy team of Tim and Eric. Heidecker, along with Eric Wareheim, made the television shows Tom Goes to the Mayor and Tim and Eric Awesome Show, Great Job. Description above from the Wikipedia article Tim Heidecker, licensed under CC-BY-SA, full list of contributors on Wikipedia. as "Whale Boat Captain Daniel Goobler"